On the market for the first time in 60 years, this spacious four bedroom 1920s Californian bungalow is the special opportunity you have been waiting for. The home is beautifully private from the road and set on a generously proportioned 1125 sq m section with outlook at the rear over Anzac Parade and to Kowhai Park. Inside you'll find a large modern kitchen with plenty of bench and cupboard space, which is open plan with an equally spacious dining/living room. The formal lounge with elegant plaster ceiling adjoins the dining room via attractive French Doors, and also incorporates a lovely step-down afternoon sunroom plus a conservatory. North facing outdoor living is another sought after feature with a large covered deck leading off the kitchen/dining area. Four bedrooms (three double and one single - all with wardrobes), bathroom featuring separate shower and bath, and separate toilet room complete the home. Outside you'll have all the green space you want to create the garden of your dreams, with several well established fruit and citrus trees producing an abundance of sweetness every year. You'll love the abundance of bird life visiting the garden, including tui and kereru, and the peaceful secluded ambience of the property. The original single garage is complemented by a more recent double carport. There's plenty of space for more sheds, parking for multiple vehicles, campervan, trailer and so on. 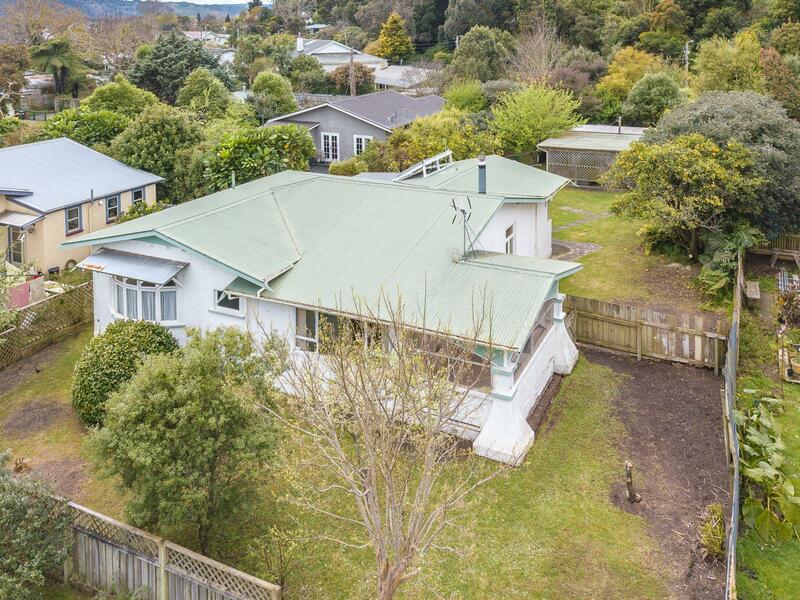 Make sure you seize your opportunity to secure this slice of Whanganui paradise and make it into the home of your dreams. Viewing by appointment only, so call now to view. Blinds, Light fittings, Electric Oven, Clothesline, Drapes, Electric Hob, Fixed floor coverings, Net Curtains, Range Hood, Security Lighting, Washing Machine Taps, Security Door, Mats, Freezer.